A POTENTIAL alibi for Daniel Morcombe's alleged murderer clocked in at the Nambour RSL using her loyalty card 20 minutes after the teen went missing. Beerwah woman Sandra Drummond cannot remember what she was doing on December 7, 2003, but a police investigation tracked her to the club the day the 13-year-old disappeared. She told Brisbane Magistrates Court that she was friendly with accused man Brett Peter Cowan, who lived down the road from her in the Sunshine Coast hinterland town. Ms Drummond said she met Cowan when she wanted to buy fireworks for her kids and had regularly smoked marijuana with him. She admitted Cowan would buy drugs from her. Ms Drummond said she told police her grandson's birthday was on December 8 and she remembered a birthday party at McDonalds but she just was unsure which weekend. She said she usually went to the Nambour RSL, where her daughter worked, on a Sunday for the raffles. "I don't remember where I was because that day was not significant but he (Cowan) might remember," she said. Ms Drummond gave five statements to police between September, 2006, and August, 2011, as police tried to establish her whereabouts. Cowan's lawyer Tim Meehan said Ms Drummond was deemed Cowan's alibi at a coronial inquest into Daniel's disappearance in 2011. "She is seen as being an alibi witness of the accused," he said. 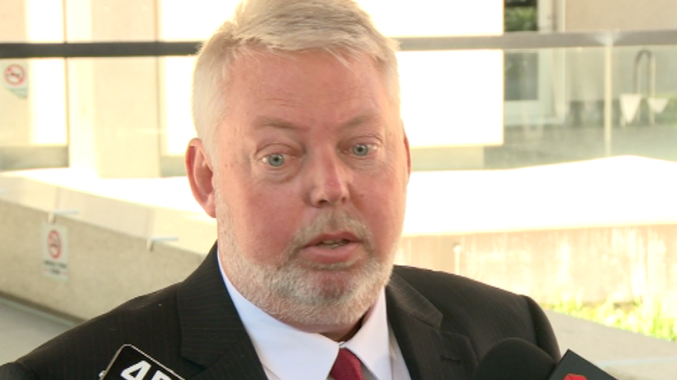 "The accused says that at the relevant time, being the disappearance of Master Morcombe, that he was relevantly at the address of this witness. "Her initial statement is neither here nor there in that she doesn't provide any evidence supporting or opposing that view. "She's then spoken to two days later by police. That statement deals with whether or not there was an offer by the accused to mulch some trees at the residence of this witness. "Your honour would probably be aware of the importance of a mulcher in relation to movements of the accused on the relevant day." Mr Meehan said the following three statements explored whether she could not have seen Cowan on December 7, 2003. "First of all they deal with the party ... for a child at McDonalds and whether she would have been at home to see the accused on that day," he said. "It follows from that in the final two statements about her being at an RSL club and that her membership card having been used at the RSL." Daniel was 13 when he was abducted waiting for a bus near the Kiel Mountain overpass on the Nambour Connection Road. His remains were found in bushland at Glasshouse Mountains in August and September, 2011. Outside court, Daniel's parents said they remained focused on following their son's case through the justice system. "We don't need any motivation," he said. "On the way here this morning we drove past the cemetery where Daniel was laid to rest, we drive past the abduction site. The blood's flowing on the way here and you know the purpose of today." The court was closed after Ms Drummond's evidence so Chief Magistrate Brendan Butler could hear from six police officers intimately involved in the case. The court will re-open to the public later this week or next week for two more police officers. Mr Morcombe said it was frustrating they could not be present for all the evidence in their son's case. He said the interesting thing was that the ruling to close the court had a non-publication order itself which meant there was no way to challenge the decision or any points of law relating to the decision.